I’m really not a fan of New Year resolutions. I’m kind of more of a U2 kinda girl: nothing really changes on New Year’s Day. 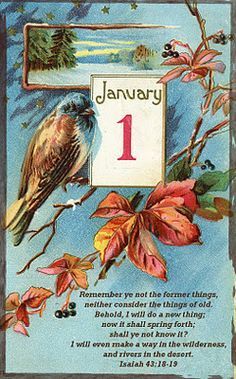 Still…the world sees January as a clean slate, so why not make it a time to embrace new things? I just know, that for me, unless I seek God’s help, I can’t keep a promise to myself for anything. So. This morning, one of our church elders gave the word during the service, and he basically read us several passages about what it means to be a real Christian. These verses from Romans 12 really stuck out to me as good things to work toward in 2017. Note that it’s all from Romans 12: 9-21, in case you want to read it in a different translation. I’m sharing from The Message, because I sometimes prefer the way it sounds. I also separated some verses into two bullet points because I think they each deserve their own emphasis. Be good friends who love deeply. Don’t quit in hard times. Pray all the harder. If you see your enemy hungry, buy that person lunch, or if he’s thirsty, get him a drink. Your generosity will surprise him with goodness.